Help your children with their counting skills with this exciting game! Keep the kids entertained for hours! Challenge and engage your children with this exciting game for all the family. 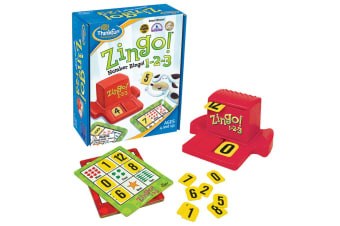 Simply match numbered spaces on your challenge card with number tiles revealed by the Zingo! Zinger. The first player with a full card wins the game by yelling Zingo!